An astounding array of microorganisms colonizes the human gut; our large intestines alone are home to 1014 bacteria from more than 1,000 species. 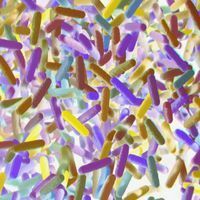 Though scientists have long attempted to manipulate these microbial populations to affect health, probiotics have failed to reliably treat disease. However, a new study published today in Nature reports that a blend of specially selected strains of Clostridium bacteria derived from humans can significantly reduce symptoms of certain immune disorders in mice. Mammalian gut microbiota—the community of microorganisms that inhabit the gastrointestinal tract—have a long, intimate, and mostly symbiotic history with their hosts. The ubiquitous bugs are integral to some of the most basic of physiological functions, including metabolism and immune system development and function. 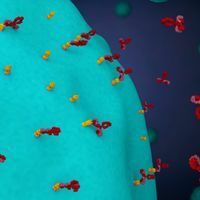 However, specific gut microbes have also been linked to autoimmune disorders, obesity, inflammatory bowel disease, and possibly even neurological disorders. “It’s clear that gut microbes can affect many, many aspects of our physiology,” said Mazmanian. 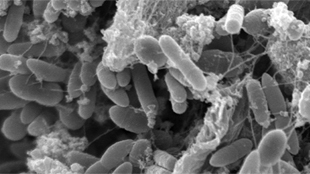 Senior author Kenya Honda and his team previously reported that colonization of germ-free mice—mice that lack a microbiota—with a cocktail of a few dozen strains of Clostridium bacteria derived from wild-type mice promoted the activity of regulatory T cells (Treg) in the colon. Treg cells produce important anti-inflammatory immune molecules, including interleukin-10 and inducible T-cell co-stimulator, to prevent an overreaction of the immune system, and disruption of Treg cells is known to play a role in autoimmune disorders such as colitis, Crohn’s disease, food allergies, and type II diabetes. Indeed, mice treated with the Clostridium cocktail appeared more resistant to allergies and intestinal inflammation. To extend the clinical relevance of the previous results, Honda’s group repeated their experiment using Clostridium derived from a sample of human feces. As in the previous study, germ-free mice treated with specially selected strains of human-derived Clostridia displayed a significant increase in Treg cells. 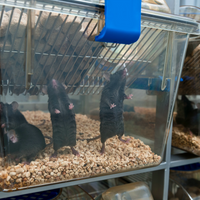 The treated mice also displayed reduced symptoms of colitis and allergy-induced diarrhea. The researchers used RNA sequencing of gut tissue samples of mice treated with human microbes to identify 17 specific non-virulent strains of Clostridium responsible for the increased production of Treg cells. They then sequenced the metagenomes of human ulcerative colitis patient guts, and found that they tended to carry lower levels of the 17 strains, with 5 out of the 17 showing a statistically significant reduction. 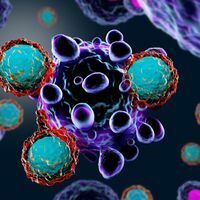 “This work lays out the first instance of a rationally designed drug candidate isolated from human microbiota, which can be given to animals to treat autoimmune disease,” said study coauthor Bernat Olle, the chief operating officer of Vedanta Biosciences, which is developing therapies based on the new research. Investigations into the mechanisms underlying Treg-cell induction pointed to small chain fatty acids and bacterial antigens that are cooperatively produced by the 17 strains of Clostridium. The small chain fatty acids and antigens in turn activate a transforming growth factor (TGF-beta) response that drives Treg cell differentiation and expansion. “It’s very valuable to see studies like this one, where detailed analysis of microbial compositions is linked to biology,” said Rudensky. K. Atarashi et al., “Treg induction by a rationally selected mixture of Clostridia strains from the human microbiota,” Nature, doi:10.1038/nature12331, 2013.